By using PEEK as sealing seat material, the gun is also particularly suitable for pre-spray and pre-wash applications in vehicle washing. With the new valve 202 000 054 our spray guns ST-2000 and ST-601 can be upgraded chemically resistant. 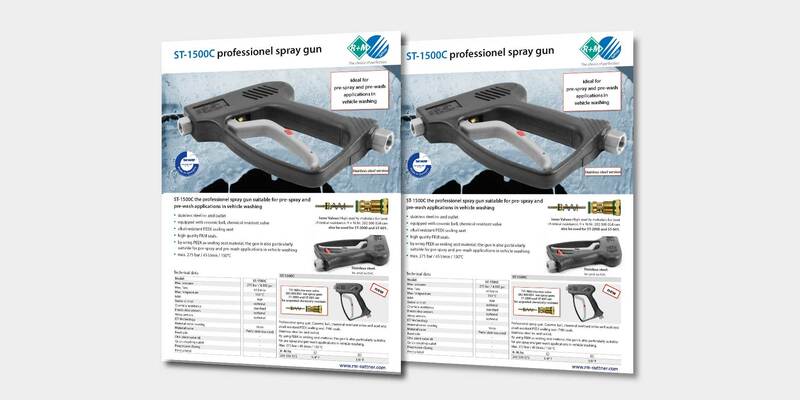 Detailed information about our spray gun ST-1500C are given on our data sheet.